Darcy is a born and raised Calgarian. This loving father of one lives in S.W. Calgary with his wife Brandy. Darcy is dedicated to helping his clients get the most out of any real estate endeavour and is looking forward to future success and making many more friends along the way. Being born and raised in Calgary does have its advantages, experience and greater knowledge that will benefit you if you are selling or buying within the Calgary area.I love this city, and I feel privileged to be able to help home buyers and sellers. What separates Darcy from other real estate agents is his professional yet un intimidating approach to all aspects of real estate. 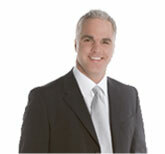 He considers working with clients as an opportunity to provide exceptional customer service and make new friends. Darcy is committed to getting the most for his clients. Expert negotiations, customer service, and access to a wide variety of real estate resources and experiences are just some of the services that he is committed to providing his clients.